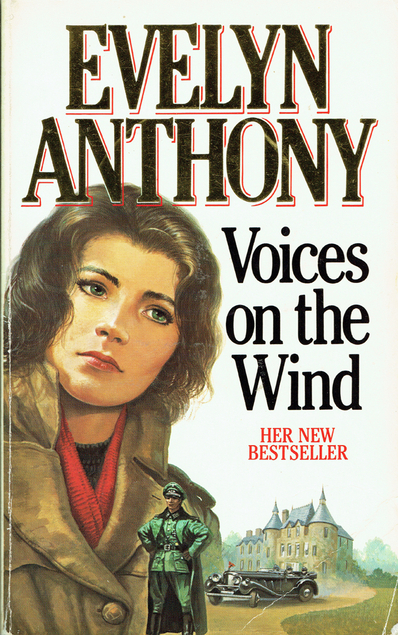 Voices on the Wind by Evelyn Anthony was first published in 1985. I read a lot of her books in the 1970s and loved them, she specialised in World War 2 espionage books. In this one it’s forty years after the war and Katharine Alfurd is living in a small Sussex village, she’s fairly recently widowed and only has one daughter who she doesn’t get on with very well, so she leads quite a lonely life and has taken to visiting the local pub, drinking too much and telling anyone who will listen to her about her wartime exploits as an undercover British agent. As she had a French mother she could speak the language like a native. The 1980s were a time when now and again high profile Nazis who had escaped justice popped up in the news, and that’s what happens in this book. Katharine had been involved with the Resistance in Occupied France and she had come into contact with Standartenfuhrer Christian Eilenburg. Now he is in France after having spent most of his life in Chile hiding from Nazi hunters. He’s about to stand trial and as Katharine had actually come into contact with him during the war she’s asked to travel to France to meet him. Katharine’s wartime memories were never far away and now her thoughts go back to 1944 when along with others she was sent to France to help the Resistance and prepare for the Normandy invasions. This was a great read, it does jump around a lot but I didn’t have a problem with that. I’ll be looking for more of her books.